We were not appointed as auditors of the company until September 15, 20×6. Accordingly we have not audited financial statements for year ended December 31, 20×5. There were no satisfactory audit procedures that we could apply to verify opening balances of inventories amounting to Rs . Gross revenues include cash sales, Rs Controls over cash sales were inadequate on which we could rely for the purpose of audit and there were no satisfactory audit procedures that we could apply to ensure that all cash sales have been properly recorded. In our opinion and to the best of our information and according to the explanations given to us, the balance sheet, profit and loss account and the cash flow statement, together with the notes forming part thereof, give the information required by the Companies Ordinance, 1984, in the manner so required and, except for the effects of such adjustments if any, as might have been necessary had we been able to satisfy ourselves as to the completeness and accuracy of cash sales, respectively give a true and fair view of the state of the Company’s affairs, as at , and of the profits and cash flows for the year then ended. Note: In this example it is assumed that the effect of inability to verify cash sales is not so material and pervasive as to required a disclaimer. We were unable to obtain audited financial statements supporting the company’s investment in an associated company stated at Rs . 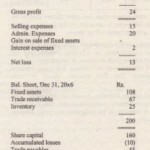 or its equity in profits of that associated company of Rs which is included in net profit for the year then ended as described in Note X to the financial statement statements, nor were we able to satisfy ourselves as to the carrying value of investment in the associated company or the equity in its net profits by auditing procedures. In our opinion and to the best of our information and according to the explanations given to us, the balance sheet, profit and loss account and the cash flow statement, together with the notes forming part thereof, give the information required by the Companies Ordinance, 1984, in the manner so required and, except for the effects of such adjustments if any, as might have been necessary had we been able to satisfy ourselves . as to the Carrying value of investments in the associated company and the share in its net profits, respectively give a true and fair view of the state of the Company’s affairs, as at , and of the profits and cash flows for the year then ended. We did not attend the counting of physical stock as of December 31, …….. , since that date was prior to the time we were initially engaged as auditors of the Company. Owing to the nature of the Company’s records, we were unable to satisfy ourselves as to inventory quantities by other audit procedures. In our opinion and to the best of our information and according to the explanations given to us, the balance sheet, profit and loss account and the cash flow statement, together with the notes forming part thereof, give the information required by the Companies Ordinance, 1984, in the manner so required and, except for the effects of such adjustments if any, as might have been necessary had we been able to satisfY ourselves as to the physical inventory respectively give a true and fair view of the state of the Company’s affairs, as at , and of the profits and cash flows for the year then ended. As stated in noted X to the financial statements a fire in the Company’s computer center destroyed certain important accounting records. The accompanying financial statements consequently include significant amounts based on estimates. We were therefore unable to carry out all the auditing procedures or to obtain all the information and explanations as considered necessary. Because of the significance of matter referred to in the preceding aragraph, we do not express an opinion on the financial statements. As discussed in Note X to the financial statements, no depreciation has been provided in the financial statements. Depreciation for the year should be Rs…. based on the straight-line method of depreciation using annual rate of 10%. Accordingly, the fixed assets should be reduced by accumulated depreciation of Rs. … and the profit for the year of Rs………. and balance of accumulated profits should be reduced by Rs . In our opinion and to the best of our information and according to the explanations given to us, the balance sheet, profit and loss account and the cash flow statement, together with the notes forming part thereof, give the information required by the Companies Ordinance, 1984, in the manner so required and, except for the matter discussed above respectively give a true and fair view of the state of the Company’s affairs, as at , and of the profits and cash flows for the year then ended. The company has excluded from its fixed assets, and liabilities in the accompanying balance sheets, certain lease obligations that, in our opinion, should be capitalized in order to conform with International Accounting Standard 17, Accounting for Leases. If these lease obligations were capitalized, fixed assets would be increased by Rs . (20×5: Rs ) and long term debt by Rs (20×5: Rs )., and accumulated profits by Rs at December of 31, 20×6. (20×5: Rs…..•….. (20×5 : Rs ) for the years then ended. 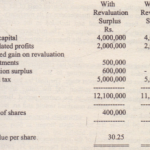 In our opinion and to the best of our information and according to the explanations given to us, the balance sheet, profit and loss account and the cash flow statement, together with the notes forming part thereof, give the information required by the Companies Ordinance, 1984, in the manner so required and, except for the matter discussed above respectively give a true and fair view of the state of the Company’s affairs, as at , and of the profits and cash flows for the year then ended. Loans and advances at December 31, 20×6 included amounts due from associated companies, Rs (20×5: Rs ) The maximum aggregate amount due from associated undertakings at the end of any month during the year was Rs…. (20×5: Rs….) The Company’s financial statements do not disclose this information. In our opinion and to the best of our information and according to the explanations given to us, the balance sheet, profit and loss account and the cash flow statement, together with the notes forming part thereof, give the information required by the Companies Ordinance, 1984, in the manner so required and, except for the matter discussed above respectively give a true and fair view of the state of the Company’s affairs, as at , and of the profits and cash flows for the year then ended. (i) As discussed in note X to the financial statements, the Company adopted in 20 x 6. The first – in, first out method of accounting for its inventories, whereas it previously used the weighted average method. Although use of first-in first out method is in conformity with the International Accounting Standards, in our opinion, the company has not provided reasonable justification for change in the method. profits and cash flows for the year then ended. As explained in note X to the financial statements, the latest estimates of cost to complete indicate expected losses on certain contracts in progress. The expected losses have not been recognized as an expense. If losses had been so recognized, the effect would have been to reduce the profit and the contract work in progress at December 31, 20×6 by Rs . opinion and to the best of our information and according to the explanations given to us, the balance sheet, profit and loss account and the cash flow statement, together with the notes forming part thereof, do not give a true and fair view of the state of Company’s affairs, as at December 31, 20×6, and of the profits and cash flows for the year then ended. Without qualifying our opinion, we draw attention to note X in the financial statements. The Company incurred a loss of Rs during the year ended December 31, 20×6 and as of that date, the Company’s current liabilities exceeded its current assets by Rs……. and its total liabilities exceeded its current assets by Rs……. These factors along with other matters set forth in Note X, raise substantial doubt that the Company will be able to continue as going concern. Without qualifying our opinion, we draw attention to note X in the financial statements. The Company is a defendant in a lawsuit alleging infringement of certain patent rights and claiming royalties and punitive damages. The Company has filed a counteraction, and preliminary hearing and discovery proceeding on both actions are in progress. The ultimate outcome of the. litigation cannot presently be determined. Accordingly, no provision for any liability that may result upon adjudication has been made in the accompanying financial statements.